After teaching in the public school system for 22 years, JoAn Watson Martin retired, but continued to serve as a reading/writing consultant for Houston area schools. She taught for several years in the Alpha Gifted and Talented program of Clear Creek School District. She also served as an adjunct instructor in the School of Education at University of Houston at Clear Lake. Ms. Martin’s published novels are: Yankee Girl (2002), Yankee Girl: A Grand Adventure (3rd edition, 2009), Good Night Mrs. Dinglewall! Sleep Tight! (2006), Inventing Chloe (2009), and Retrieving Morning (Adult Romance, 2009). For information about Ms. Martin’s historically informative presentations at schools, contact her at josbook@mindspring.com. Goodnight, Mrs. Dinglewall! Sleep Tight! 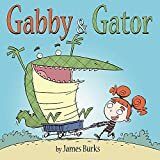 “The author no doubt has classroom experience. 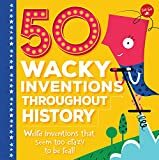 Weird & Wacky Inventions is an inspiring book for imaginative readers who are captivated by the impossible, the far out, and the really wild. “Leanna Ellis skillfully writes quirky, paranormal teen fiction with a splash of romance, nicely gathering up all her plot threads by the concluding pages. A girl who holds conversations with animals! A small, female Dr. Doolittle—how fun! The Story of Goldilocks and the Three Bears has been around forever. In Me and You, Anthony Browne offers his take on the old tale, told from Baby Bear’s viewpoint. Patrick and Margaret had been together for two years. When Patrick had the opportunity to go to Kenya to study tropical diseases, he asked her to go with him.